I am sure you all know now that I’ve started bootcamp, because I talk about it a lot over on my Instagram stories! I am really enjoying it. I have made some really positive lifestyle changes too, especially with my eating habits. I tend to not snack so much unless it is a tea or coffee, because I love a warm brew in the colder months. Eating more real foods, nothing processed. Having more green vegetables with my dinners. Eating more protein based food, like eggs and chicken to help aid my muscle workouts. Taking a supplement, I am taking Neuro Focus Plus, which is basically brain Vitamins. All these things have really helped contribute to my all round health and wellbeing. I used to get quite down in the winter previously, but I have found things to get me through and I now love the winter just as much as the summer. One of the ways I combat winter blues is to keep working out and keep pushing towards all my goals, fitness goals and work life goals. I also like to make sure I eat consciously over the winter. It is so easy to comfort eat in the winter, but if you keep yourself busy, which is really not hard for me being a mum of three, being busy means you are less likely to eat unnecessarily when you are not hungry, and also I try not to snack too much throughout the day but instead have three full and healthy meals. I decided to go ahead and make these healthy lifestyle changes because I want to be a good mum, I want to be healthy and be able to run around with my kids and play with them without feeling unfit or tired. Life can be full on especially with work, raising children, and taking care of the house. So I needed more energy and focus to get things done and to look after myself so that I can be the best version of me for my family. That was my motivation behind it all. I also wanted to loose all the baby weight and get back into my pre pregnancy clothes, Arthur is now 11 months old and I still have 1 stone to loose before I am back to my pre pregnancy weight. I have lost some weight already by going to bootcamp and changing my diet. 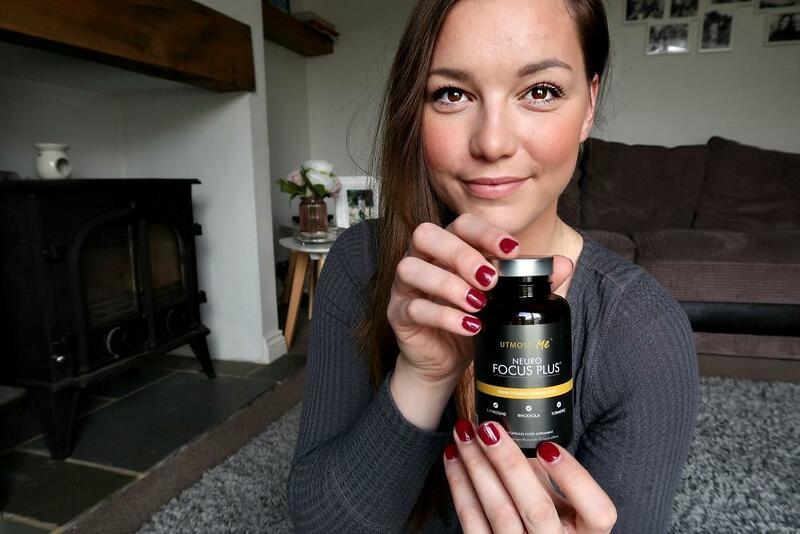 The Neuro Focus supplement has definitely helped me to keep focused. I decided to take the Utmost Neuro Focus Brain vitamins to give me a boost I needed and to keep my mind and brain working and strong. With everything that I have been doing and the healthy changes I have made I have definitely noticed a huge difference in my motivation and energy level daily. I can focus on a task at hand and get it done I am better at concentrating. I work from home so its important for me, while having Arthur at home to use my time wisely because I can only really work and get the bulk of my work done while he is napping. So those few hours are paramount to me. I can be up working late hours at night sometimes too so I wanted something to keep me focused. It definitely does that. I wouldn’t suggest you take it if you struggle to sleep. 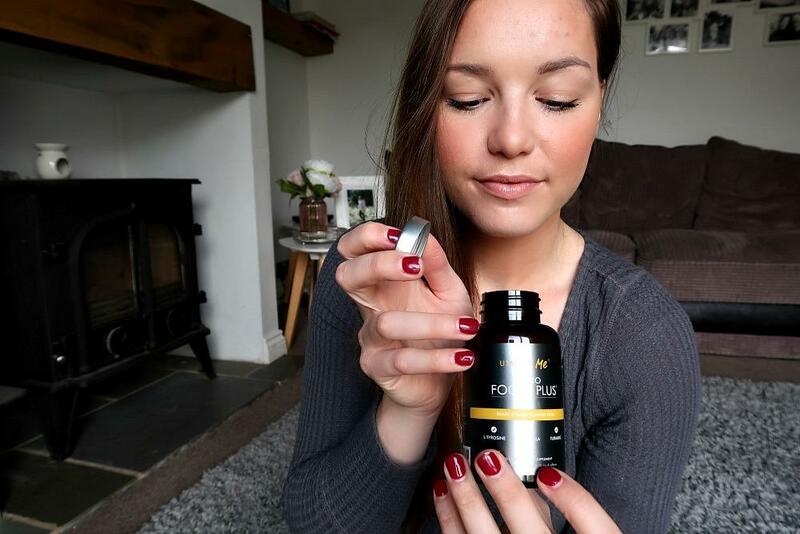 But Utmost do also do a sleeping supplement which looked great but not something I needed to try as I have no trouble sleeping at the moment. It is made from natural ingredients such as green tea extract, caffeine, kola nut, blackberry, and vitamin D3, C, B2, and plenty more which are listed on the bottle itself. 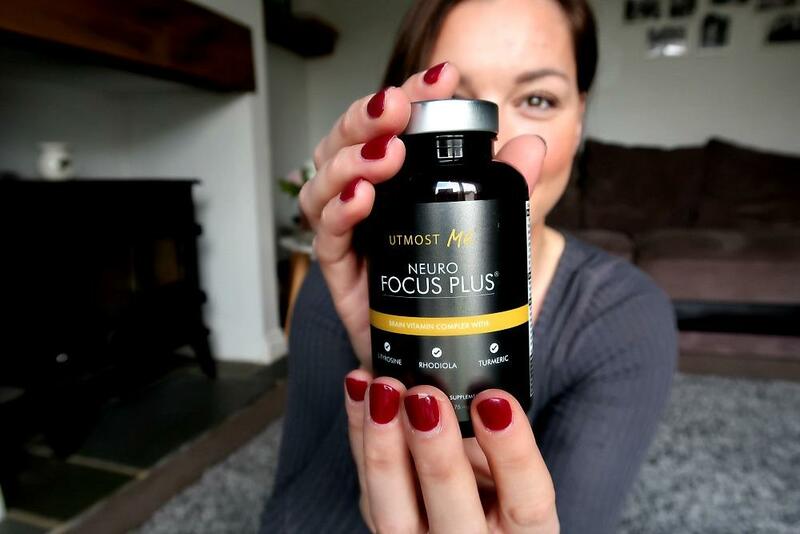 I have got on really well with taking the utmost Neuro Focus and have found improvements to my focus and concentration. 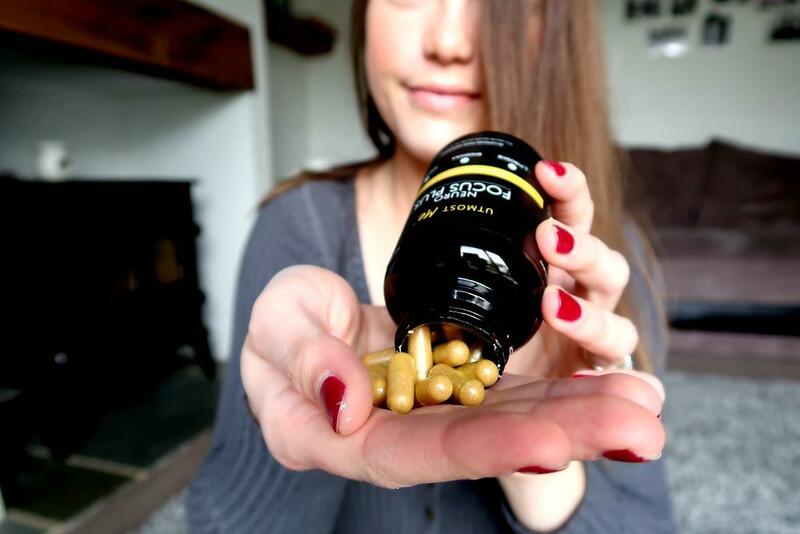 Like with any supplement you’ll not be sure if its all the healthy changes you have made or if its the supplement that you are taking. But for me I feel like it has worked. Lately I have been feeling like I need to take something extra due to wanting more energy. You’re doing so well with your change of lifestyle and loosing your baby weight. I defiantly workout to stay fit, mind and body. As Arthur is not sleeping well but I also do late nights working would you recommend or not as would I be able to fall asleep still and get my hours in before he woke again?